2019 Land Rover Range Rover 5.0L V8 Supercharged Autobiography Silver 4WD ZF 8-Speed Automatic 5.0L V8 SuperchargedLeather Seats, Sunroof/Moonroof, Backup Camera, Navigation System, Bluetooth, Ivory Leather, 22-Way Heated/Cooled Massage Front Seats w/Memory, 360 Parking Aid, 360 Surround Camera, Adaptive Cruise Control w/Steering Assist, Android Auto, Apple CarPlay, Blind Spot Assist, CD/DVD Player, Clear Exit Monitor, Driver Assist Pack, Driver Condition Monitor, Front Center Console Cooler Compartment, Heated Windshield, High Speed Emergency Braking, Lane Keep Assist, Park Assist, Passenger door bin, Rear Traffic Monitor, Smartphone Pack, Traffic Sign Recognition & Adaptive Speed Limiter, Wheels: 22'' 11 Spoke.16/21 City/Highway MPGLocated at Land Rover Rocklin! For more information, Call us at 916-632-3231, email us at landrover.Dssales@niello.com or find us online at landrover.niello.com.The Niello name has been a name that you can trust in California since 1921. Our family began by selling Packard cars in San Francisco over 90 years ago, and though some brands have come and gone, we are still going strong today. Thatâ€™s because we believe in putting the needs of our customers first. When you come to one of our dealerships, we want you to feel right at home. With our Rocklin Land Rover dealership, we can serve all of the surrounding areas including Roseville, Folsom, Lake Tahoe, and countless other communities. Welcome to Land Rover Rocklin, we know that you will enjoy your visit. 2019 Land Rover Range Rover 5.0L V8 Supercharged LWB Yulong White Metallic 4WD ZF 8-Speed Automatic 5.0L V8 SuperchargedLeather Seats, Sunroof/Moonroof, Backup Camera, Navigation System, Bluetooth, Ivory Leather, 10'' Rear Seat Entertainment, 110-Volt/180-Watt Power Outlet, 22-Way Heated/Cooled Massage Front Seats w/Memory, 360 Surround Camera, Adaptive Cruise Control w/Stop & Go, Android Auto, Apple CarPlay, Atlas Exterior Accents, Auto High Beam Assist (AHBA), Car Care Kit (Preferred), CD/DVD Player, Configurable Ambient Interior Lighting, Ebony Morzine Headlining, Front Fog Lights, Head-Up Display, Premium Int Protection & Storage Pack (Preferred), Premium Rear Seat Convenience Pack (Preferred), Shadow Walnut Veneer Trim Finisher, Signature Entertainment Package, Smartphone Pack, Vision Assist Pack, Wheels: 21'' 6 Spoke w/Diamond Turned Finish.16/21 City/Highway MPGLocated at Land Rover Rocklin! For more information, Call us at 916-632-3231, email us at landrover.Dssales@niello.com or find us online at landrover.niello.com.The Niello name has been a name that you can trust in California since 1921. Our family began by selling Packard cars in San Francisco over 90 years ago, and though some brands have come and gone, we are still going strong today. Thatâ€™s because we believe in putting the needs of our customers first. When you come to one of our dealerships, we want you to feel right at home. With our Rocklin Land Rover dealership, we can serve all of the surrounding areas including Roseville, Folsom, Lake Tahoe, and countless other communities. Welcome to Land Rover Rocklin, we know that you will enjoy your visit. At Niello Land Rover of Sacramento we believe in transparency. We only advertise discounts and rebates that everyone qualifies for! You may qualify for other discounts and rebates. Contact an associate today to see what you qualify for. 2019 Land Rover Range Rover 5.0L V8 Supercharged Santorini Black 4WD ZF 8-Speed Automatic 5.0L V8 SuperchargedLeather Seats, Sunroof/Moonroof, Backup Camera, Navigation System, Bluetooth, Ebony Leather, 110-Volt/180-Watt Power Outlet, 360 Parking Aid, Activity Key, Adaptive Cruise Control w/Stop & Go, Advanced Tow Assist, Auto High Beam Assist (AHBA), Blind Spot Assist, Clear Exit Detection, Configurable Ambient Interior Lighting, Drive Pro Pack, Driver Condition Monitor, Front Center Console Refrigerator Compartment, Front Fog Lights, Head-Up Display, High Speed Emergency Braking, Lane Keep Assist, Parallel/Perpendicular Park Assist, Park Pro Pack, Radio: 825W Meridian Surround Sound System, Reverse Traffic Detection, Smartphone Pack (Preferred), Surround Camera System, Tow Hitch Receiver, Tow Package, Traffic Sign Recognition & Adaptive Speed Limiter, Vision Assist Pack, Wheels: 22'' 7 Split-Spoke w/Diamond Turned Finish.16/21 City/Highway MPGLocated at Land Rover Rocklin! For more information, Call us at 916-632-3231, email us at landrover.Dssales@niello.com or find us online at landrover.niello.com.The Niello name has been a name that you can trust in California since 1921. Our family began by selling Packard cars in San Francisco over 90 years ago, and though some brands have come and gone, we are still going strong today. Thatâ€™s because we believe in putting the needs of our customers first. When you come to one of our dealerships, we want you to feel right at home. With our Rocklin Land Rover dealership, we can serve all of the surrounding areas including Roseville, Folsom, Lake Tahoe, and countless other communities. Welcome to Land Rover Rocklin, we know that you will enjoy your visit. 2019 Land Rover Range Rover Sport SVR Fuji White 4WD 8-Speed Automatic 5.0L V8 SuperchargedLeather Seats, Sunroof/Moonroof, Backup Camera, Navigation System, Bluetooth, Car Care Kit (Preferred), Smartphone Pack.15/20 City/Highway MPGLocated at Land Rover Rocklin! For more information, Call us at 916-632-3231, email us at landrover.Dssales@niello.com or find us online at landrover.niello.com.The Niello name has been a name that you can trust in California since 1921. Our family began by selling Packard cars in San Francisco over 90 years ago, and though some brands have come and gone, we are still going strong today. Thatâ€™s because we believe in putting the needs of our customers first. When you come to one of our dealerships, we want you to feel right at home. With our Rocklin Land Rover dealership, we can serve all of the surrounding areas including Roseville, Folsom, Lake Tahoe, and countless other communities. Welcome to Land Rover Rocklin, we know that you will enjoy your visit. 2019 Land Rover Range Rover 3.0L V6 Supercharged HSE Rosello Red Metallic 4WD ZF 8-Speed Automatic 3.0L V6 SuperchargedLeather Seats, Sunroof/Moonroof, Backup Camera, Navigation System, Bluetooth, Tow Package, Ebony Leather, 360 Parking Aid, 360 Surround Camera, Activity Key, Adaptive Cruise Control w/Steering Assist, Advanced Tow Assist, Android Auto, Apple CarPlay, Blind Spot Assist, Clear Exit Monitor, Driver Assist Pack, Driver Condition Monitor, Ebony Morzine Headlining, Front Fog Lights, High Speed Emergency Braking, Lane Keep Assist, Park Assist, Radio: 825W Meridian Surround Sound System, Rear Traffic Monitor, Shadow Walnut Veneer Trim Finisher, Smartphone Pack, Tow Hitch Receiver, Tow Package, Traffic Sign Recognition & Adaptive Speed Limiter, Wheels: 22'' 9 Split-Spoke w/Gloss Black Finish, Wood & Leather Steering Wheel.17/23 City/Highway MPGLocated at Land Rover Rocklin! For more information, Call us at 916-632-3231, email us at landrover.Dssales@niello.com or find us online at landrover.niello.com.The Niello name has been a name that you can trust in California since 1921. Our family began by selling Packard cars in San Francisco over 90 years ago, and though some brands have come and gone, we are still going strong today. Thatâ€™s because we believe in putting the needs of our customers first. When you come to one of our dealerships, we want you to feel right at home. With our Rocklin Land Rover dealership, we can serve all of the surrounding areas including Roseville, Folsom, Lake Tahoe, and countless other communities. Welcome to Land Rover Rocklin, we know that you will enjoy your visit. 2019 Land Rover Range Rover 5.0L V8 Supercharged LWB Fuji White 4WD ZF 8-Speed Automatic 5.0L V8 SuperchargedLeather Seats, Sunroof/Moonroof, Backup Camera, Navigation System, Bluetooth, Almond Seats Leather, 20-Way Power Heated Front Bucket Seats, Navigation system: Touch Pro Navigation System, Wheels: 21'' 6 Spoke.16/21 City/Highway MPGLocated at Land Rover Rocklin! For more information, Call us at 916-632-3231, email us at landrover.Dssales@niello.com or find us online at landrover.niello.com.The Niello name has been a name that you can trust in California since 1921. Our family began by selling Packard cars in San Francisco over 90 years ago, and though some brands have come and gone, we are still going strong today. Thatâ€™s because we believe in putting the needs of our customers first. When you come to one of our dealerships, we want you to feel right at home. With our Rocklin Land Rover dealership, we can serve all of the surrounding areas including Roseville, Folsom, Lake Tahoe, and countless other communities. Welcome to Land Rover Rocklin, we know that you will enjoy your visit. 2019 Land Rover Range Rover 3.0L V6 Supercharged HSE Loire Blue Metallic 4WD ZF 8-Speed Automatic 3.0L V6 SuperchargedLeather Seats, Sunroof/Moonroof, Backup Camera, Navigation System, Bluetooth, Premium Wheels, Espresso/Espresso/Almond/Ivory w/Perforated Semi-Aniline Leather Seat Trim, 360 Parking Aid, 360 Surround Camera, Activity Key, Adaptive Cruise Control w/Steering Assist, Advanced Tow Assist, Blind Spot Assist, Clear Exit Monitor, Driver Assist Pack, Driver Condition Monitor, High Speed Emergency Braking, Lane Keep Assist, Park Assist, Premium Int Protection & Storage Pack (Preferred), Radio: 825W Meridian Surround Sound System, Rear Traffic Monitor, Smartphone Pack (Preferred), Tow Hitch Receiver, Tow Package, Traffic Sign Recognition & Adaptive Speed Limiter, Wheels: 22'' 5 Split-Spoke.17/23 City/Highway MPGLocated at Land Rover Rocklin! For more information, Call us at 916-632-3231, email us at landrover.Dssales@niello.com or find us online at landrover.niello.com.The Niello name has been a name that you can trust in California since 1921. Our family began by selling Packard cars in San Francisco over 90 years ago, and though some brands have come and gone, we are still going strong today. Thatâ€™s because we believe in putting the needs of our customers first. When you come to one of our dealerships, we want you to feel right at home. With our Rocklin Land Rover dealership, we can serve all of the surrounding areas including Roseville, Folsom, Lake Tahoe, and countless other communities. Welcome to Land Rover Rocklin, we know that you will enjoy your visit. 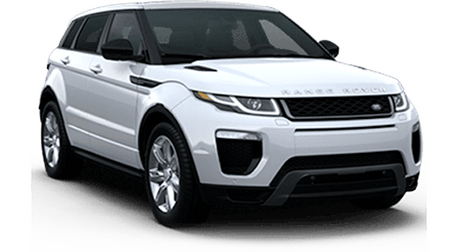 2019 Land Rover Range Rover HSE Fuji White 4WD ZF 8-Speed Automatic TurbodieselLeather Seats, Sunroof/Moonroof, Backup Camera, Navigation System, Bluetooth, Premium Wheels, Ebony/Ebony/Ebony/Cirrus w/Grained Leather Seat Trim, 110-Volt/180-Watt Power Outlet, Activity Key, Adaptive Cruise Control w/Stop & Go, Advanced Tow Assist, Auto High Beam Assist (AHBA), Blind Spot Assist, CD/DVD Player, Configurable Ambient Interior Lighting, Drive Pro Pack, Driver Condition Monitor, Front Fog Lights, Head-Up Display, High Speed Emergency Braking, Lane Keep Assist, Smartphone Pack (Preferred), Tow Hitch Receiver, Tow Package, Traffic Sign Recognition & Adaptive Speed Limiter, Vision Assist Pack, Wheels: 21'' 7 Split-Spoke.22/28 City/Highway MPGLocated at Land Rover Rocklin! For more information, Call us at 916-632-3231, email us at landrover.Dssales@niello.com or find us online at landrover.niello.com.The Niello name has been a name that you can trust in California since 1921. Our family began by selling Packard cars in San Francisco over 90 years ago, and though some brands have come and gone, we are still going strong today. Thatâ€™s because we believe in putting the needs of our customers first. When you come to one of our dealerships, we want you to feel right at home. With our Rocklin Land Rover dealership, we can serve all of the surrounding areas including Roseville, Folsom, Lake Tahoe, and countless other communities. Welcome to Land Rover Rocklin, we know that you will enjoy your visit. 2019 Land Rover Range Rover 3.0L V6 Supercharged HSE Fuji White 4WD ZF 8-Speed Automatic 3.0L V6 SuperchargedLeather Seats, Sunroof/Moonroof, Backup Camera, Navigation System, Bluetooth, Ebony Leather, Adaptive Cruise Control w/Stop & Go, Android Auto, Apple CarPlay, Blind Spot Assist, Drive Pro Pack, Driver Condition Monitor, Ebony Morzine Headlining, Grand Black Veneer Trim Finisher, High Speed Emergency Braking, Lane Keep Assist, Radio: 825W Meridian Surround Sound System, Smartphone Pack, Traffic Sign Recognition & Adaptive Speed Limiter, Wheels: 22'' 9 Split-Spoke w/Dark Grey Diamond.17/23 City/Highway MPGLocated at Land Rover Rocklin! For more information, Call us at 916-632-3231, email us at landrover.Dssales@niello.com or find us online at landrover.niello.com.The Niello name has been a name that you can trust in California since 1921. Our family began by selling Packard cars in San Francisco over 90 years ago, and though some brands have come and gone, we are still going strong today. Thatâ€™s because we believe in putting the needs of our customers first. When you come to one of our dealerships, we want you to feel right at home. With our Rocklin Land Rover dealership, we can serve all of the surrounding areas including Roseville, Folsom, Lake Tahoe, and countless other communities. Welcome to Land Rover Rocklin, we know that you will enjoy your visit. Factory MSRP: $106,8882019 Land Rover Range Rover Sport 5.0L V8 Supercharged Autobiography 4WDLeather Seats, Sunroof/Moonroof, Backup Camera, Navigation System, Bluetooth, Tow Package, Premium Wheels, 22-Way Heated & Cooled Front Seats w/Memory, Activity Key, Advanced Tow Assist, Black Roof Rails, CD/DVD Player, Head-Up Display, Park Assist, Park Pro Package, Premium Int Protection & Storage Pack (Preferred), Radio: Meridian Surround Sound System (825W), Tow Hitch Receiver, Tow Pack, Towing Package, Wheels: 21'' 5 Split-Spoke Gloss Black 'Style 5007'.Available at Land Rover Rocklin! For more information, Call us at 916-632-3231, email us at landrover.Dssales@niello.com or find us online at landrover.niello.com. 2019 Land Rover Range Rover Sport 5.0L V8 Supercharged Autobiography Fuji White 4WD 8-Speed Automatic 5.0L V8 SuperchargedLeather Seats, Sunroof/Moonroof, Backup Camera, Navigation System, Bluetooth, Premium Wheels, 22-Way Heated/Cooled Massage Front Seats w/Memory, 4-Zone Climate Control, Head-Up Display, Radio: Meridian Surround Sound System (825W), Smartphone Pack (Preferred), Wheels: 22'' 9 Split-Spoke Dark Gray 'Style 9012'.17/22 City/Highway MPGLocated at Land Rover Rocklin! For more information, Call us at 916-632-3231, email us at landrover.Dssales@niello.com or find us online at landrover.niello.com.The Niello name has been a name that you can trust in California since 1921. Our family began by selling Packard cars in San Francisco over 90 years ago, and though some brands have come and gone, we are still going strong today. Thatâ€™s because we believe in putting the needs of our customers first. When you come to one of our dealerships, we want you to feel right at home. With our Rocklin Land Rover dealership, we can serve all of the surrounding areas including Roseville, Folsom, Lake Tahoe, and countless other communities. Welcome to Land Rover Rocklin, we know that you will enjoy your visit. 2019 Land Rover Range Rover Sport Supercharged White 4WD 8-Speed Automatic 5.0L V8 SuperchargedLeather Seats, Sunroof/Moonroof, Backup Camera, Navigation System, Bluetooth, 4-Zone Climate Control, Adaptive Cruise Control w/Stop & Go, Auto High Beam Assist (AHBA), Blind Spot Assist, Climate Comfort Pack, Configurable Ambient Interior Lighting, Drive Pro Package, Front Center Console Refrigerator Compartment, Head-Up Display, Heated Steering Wheel, High Speed Emergency Braking, Lane Keep Assist, Radio: Meridian Surround Sound System (825W), Soft Door Close, Vision Assist Package, Wheels: 22'' 5 Split-Spoke 'Style 5004'.17/22 City/Highway MPGLocated at Land Rover Rocklin! For more information, Call us at 916-632-3231, email us at landrover.Dssales@niello.com or find us online at landrover.niello.com.The Niello name has been a name that you can trust in California since 1921. Our family began by selling Packard cars in San Francisco over 90 years ago, and though some brands have come and gone, we are still going strong today. Thatâ€™s because we believe in putting the needs of our customers first. When you come to one of our dealerships, we want you to feel right at home. With our Rocklin Land Rover dealership, we can serve all of the surrounding areas including Roseville, Folsom, Lake Tahoe, and countless other communities. Welcome to Land Rover Rocklin, we know that you will enjoy your visit. 2019 Land Rover Range Rover Sport Supercharged Santorini Black Metallic 4WD 8-Speed Automatic 5.0L V8 SuperchargedLeather Seats, Sunroof/Moonroof, Backup Camera, Navigation System, Bluetooth, Premium Wheels, 4-Zone Climate Control, Auto High Beam Assist (AHBA), Climate Comfort Pack, Configurable Ambient Interior Lighting, Front Center Console Refrigerator Compartment, Head-Up Display, Heated Steering Wheel, Radio: Meridian Surround Sound System (825W), Smartphone Pack, Vision Assist Package, Wheels: 21'' 5 Split-Spoke 'Style 5007'.17/22 City/Highway MPGLocated at Land Rover Rocklin! For more information, Call us at 916-632-3231, email us at landrover.Dssales@niello.com or find us online at landrover.niello.com.The Niello name has been a name that you can trust in California since 1921. Our family began by selling Packard cars in San Francisco over 90 years ago, and though some brands have come and gone, we are still going strong today. Thatâ€™s because we believe in putting the needs of our customers first. When you come to one of our dealerships, we want you to feel right at home. With our Rocklin Land Rover dealership, we can serve all of the surrounding areas including Roseville, Folsom, Lake Tahoe, and countless other communities. Welcome to Land Rover Rocklin, we know that you will enjoy your visit.